The 2019 WJHC is here. One of the best hockey tournaments of the year. The kids bring so much excitement to the rinks – it’s infectious. Pile on a helping of National pride with that and we have ourselves a dandy. Fitting in with the holidays, what a better time to reflect, and remember the all-time leading scorers in one of the most heralded tournaments the game of hockey has ever seen. The WJC has entertained us with great players over the years but with so much international parity, and games more closely contested than ever, we may never see another player flirt with some of the offensive outbursts of years’ past. This especially holds true to one man who holds himself near and dear to the host country’s heart. One of the most revered power forwards ever, Lindros competed in three WJC tournaments from 1990-92. He led Team Canada to a gold medal in 1991 while leading Canada in scoring with 6 goals and 11 assists. The 17 points compiled by Lindros made him the second leading scorer for that tournament. A year prior to the ’91 tournament, he also grabbed a gold medal. With 12 goals and 19 assists in 21 WJC games, Eric Lindros is one of the best Team Canada players to ever take part in the tournament. While many of the players who shine at the WJC go onto play in the NHL, Keskinen never left Europe to pursue an NHL career. He played his entire pro-hockey career in the Swedish and Finnish Elite Leagues. In 1984, Keskinen led Team Finland to a silver medal. The year following in 1985, Keskinen set a WJC tournament record with 14 helpers and led the tournament in scoring with 20 points. He finished his WJC career by playing in 14 games and scoring 10 goals and 22 assists. In 1993, Sundstrom was arguably on the greatest offensive line in WJC history. Sundstrom, along with his two line-mates, Markus Naslund and Peter Forsberg, are the three Swedish players who appear on this list. Sundstrom produced a whopping 18 goals in 21 career games. He led the tournament in scoring with 11 points in 1994. Sundstrom participated in three WJC tournaments from 1993 to ’95. He earned two silver medals and a bronze in that span. Ruzicka competed in three tournaments (1981-83) and is the best WJC goal-scorer to ever suit up for the Czech’s. He tallied 25 goals in 19 career games and was the leading scorer of the tournament in 1983 with 20 points. That year, he tallied 12 goals in 7 games while earning a silver medal. In 1982, Ruzicka earned another silver medal for Team Czechoslovakia. Naslund was also on two silver medal-winning teams in 1992 and ’93. Naslund is one of the most decorated snipers in WJC history. He posted 21 goals in 14 career games. In 1993, he set a tournament record scoring 13 goals. He was also second in overall scoring that year behind Forsberg with 24 points. His 24 points would have been a tournament record had Forsberg not set the record with 31 points. Naslund is placed one spot higher than Ruzicka due to Naslund’s record-setting run with Team Sweden in ’93. 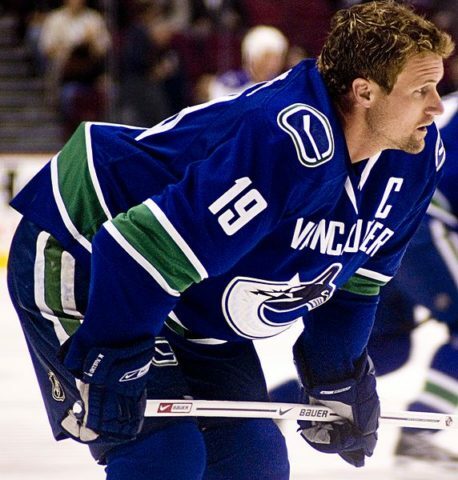 Naslund went on to be a star in the NHL and ruled the score sheets for many seasons, especially as part of the West Coast Express. As the other “ESA” from Team Finland, Tikkanen was a fantastic junior player. He played from 1983 to ’85. Tikkanen and teammate Keskinen were the top two scorers in the 1985 tournament. Tikkanen tallied 14 points that year. He totalled 17 goals and 18 assists in 21 career games. Like Keskinen, Tikkanen was a key figure in Team Finland finishing with a silver medal in 1984. Mogilny was one of the purest goal-scorers hockey fans have ever seen. His scoring ability first began to get notice at the WJC in the late 1980s. Mogilny laced up the skates for Team USSR from 1987 to ’89. Mogilny was part of some of the most talented teams ever seen at the WJC. In 1988, he led his team and the tournament in scoring with 18 points while his team finished runner-up to Team Canada. Mogilny finished his WJC career averaging 1.75 points per game with 19 goals and 16 assists in 20 games. The Russian Rocket was the most prolific goal-scorer to ever take part in the WJC tournament. With 27 goals, Bure holds the all-time record for the most goals scored by a player in the tournament’s history. He won a gold medal in 1989 and followed that up with two silver medals in ’90 and ’91. 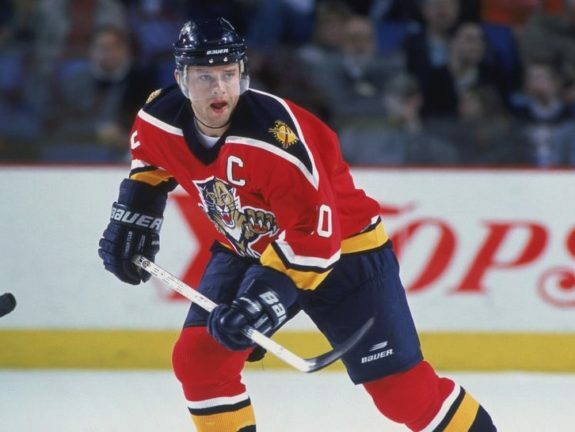 He played on one of the most offensively skilled lines in WJC history which consisted of Sergei Fedorov and Mogilny. In his last WJC run, he led the tournament in goal-scoring with 12 goals. Many people of this era do not think of Reichel when thinking about Czech hockey. With names like Jaromir Jagr and Dominik Hasek, Reichel hides in the shadows of these Czech legends. But Reichel is the second all-time leading scorer in WJC history. As a three-year WJC participant (1988-90), he nearly averaged two points per game during that span. He displayed a well-rounded game scoring 18 goals and 22 assists in 21 career games. With other countries filling rosters with future hall-of-famers at the time when Reichel played, he was only able to capture two bronze Medals. Forsberg is the most prolific scorer in WJC history. Not only does he hold the record for the most points in WJC history, but Forsberg tallied his 42 points in only two tournaments. In 1992, his WJC debut, he finished second in tournament scoring while his team was awarded a silver medal. In 1993, Forsberg made his name known to the rest of the hockey world. He set a single tournament record in points (31) and assists (24). He also holds the all-time WJC record for career assists with 32. The likelihood that any player ever matches Peter Forsberg’s numbers in a two-year span is slim to none.